A brief tale of two Frankens, both right at $1000 (or just under) ... The first, a modern 6-digit sub with some well-invested gen additions. The second, a 5-digit sub from a builder at the top of his game. Which one reigns victorious? Well, I was curious how the two would stack up, despite their model differences, so thought I'd share some observations. Of course, nobody will ever be able to answer "Who has the best sub?" but hopefully this mini-review will serve as one more data point for those trying to decide -- in particular between an "old school" 5-digit and a "modern" 6-digit submariner. Is style preference the only real difference, or does one clearly outshine the other? A few caveats: I own several gen pieces, and have owned more than my share of gen Rolexes over the years. You could say I have experience wearing, but not inspecting. I am certainly not a professional flaw-spotter. I also took pics with my phone, and would not be accused of being a photographer even on my best day. If I missed an angle or you're curious to see other shots, I'm happy to add. And finally, these are used watches that I've been wearing. I didn't even wipe them down for the pics. When I opened the package for the 114060, my immediate first thought was, "Wow, this is literally identical to the gen." The gen bezel assembly really makes the watch, and the SEL fitment on the bracelet is as spot-on as I could imagine. Everything appears in alignment. The lume caught a glimpse of the sun through the window and gently glowed blue when I stepped away. After moments in the sun, the blue looks very crisp, but nowhere near the gen. The brushed steel did not raise any flags at all. The gen bezel assembly is absolutely killer, and really makes this watch. I wouldn't have known if the crystal was gen or not, but it looks great. Upon closer inspection, and after wearing for a bit, some things I noted: the glidelock works but is extremely rough, the bracelet doesn't quite have the same feel as gen, the winding does not even remotely compare to gen (obviously), the rehaut seems a tad "reflective" and "noticeable" (although the engravings are relatively well-done), and with super-deep inspection and just the right light, the hands don't "pop" like gen hands. I really can't imagine anyone but the most critical observer spotting issues with this watch (aside from the reverse-winding). One thing I absolutely love about the No-Date is the clean, balanced dial. It's also super easy and quick to set and go. This TC arrived a few days after shipping, and was still ticking with the correct date and time. Very encouraging. Initial thoughts out of the box were, "I see why this is considered a (the?) 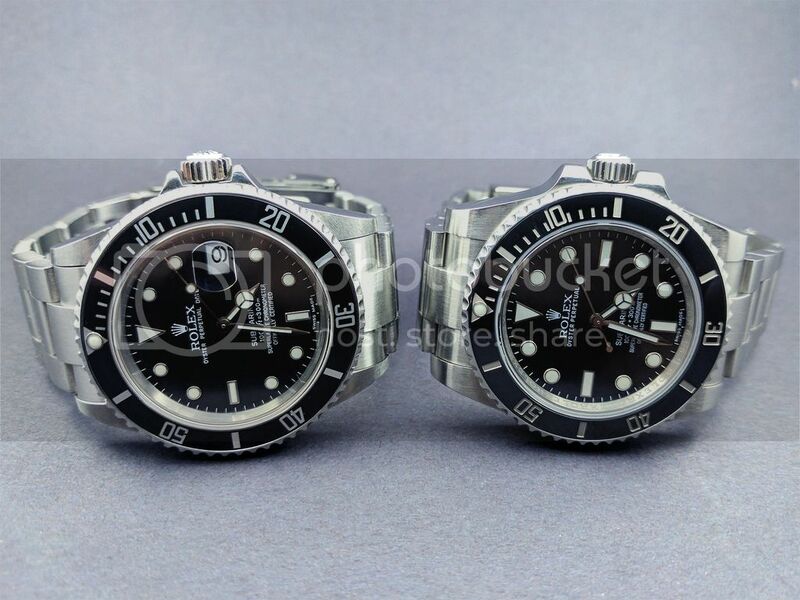 premium submariner in our hobby." I am absoutely baffled at how clean and precise this watch is, and how well it wears. I've owned several older-style gen Subs and Seadwellers, and God's honest truth, if I put this in a pile with 5-6 others, I don't think I'd be able to re-hunt it down. Are there tells? I'm sure, as they've been well-documented. But I just can't find anything to complain about. The watch is dynamite. Lume is soft and warm, but doesn't "catch" light like the newer lume. With direct sunlight, however, it glows a nice, beautiful green -- better than any older sub I've owned, but not so much that it's out of place. SEL fitment on this is also really awesome. Without the glidelock, it took some dialing in to get to my size, but zero complaints on the bracelet -- other than a tad on the chintzy side. The rehaut is a non-factor without the engraving, which is actually quite comforting. The crown guard looks great to me, and looks killer with the gen crown. I have not tested the movement, but I'm confident it hits/surpasses 40 hours given my experience with it in shipping. I have noticed that the Ceramic gets more "compliments." Friends and family are used to seeing me wear nice watches, so it's a rare occasion I receive feedback. For some reason, however, the Ceramic just draws attention unlike the aluminum. 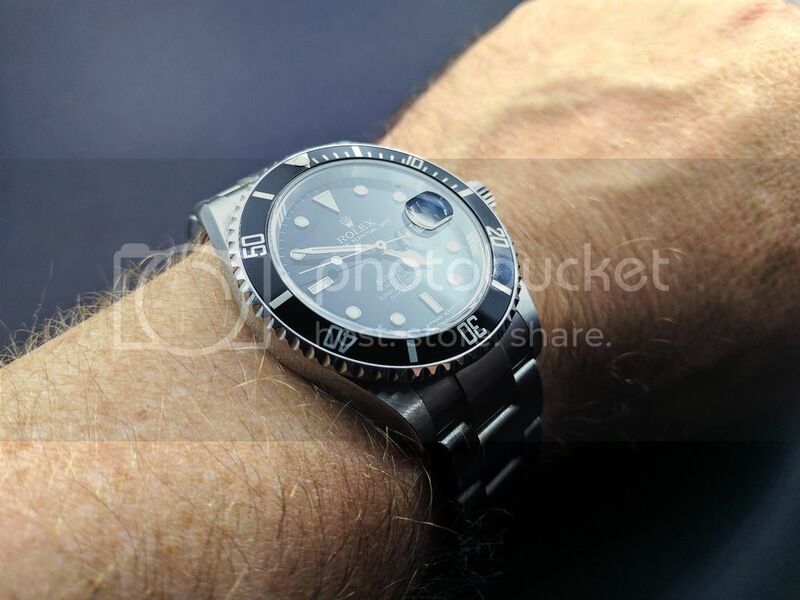 It really "feels" like a new watch, and "glistens" a tad more on the wrist, which I guess warrants more comments. The 5-Digit TC feels much more like a "tool" watch, and doesn't give me the feeling that it needs to be babied like the Ceramic. In fact, it almost feels like it's missing some character without scratches and dings. I get that they're basically the same, but I guess if these were gens, I'd be much more careful with a newer version as I walked through doorways, and that somehow translates into my perception of each. 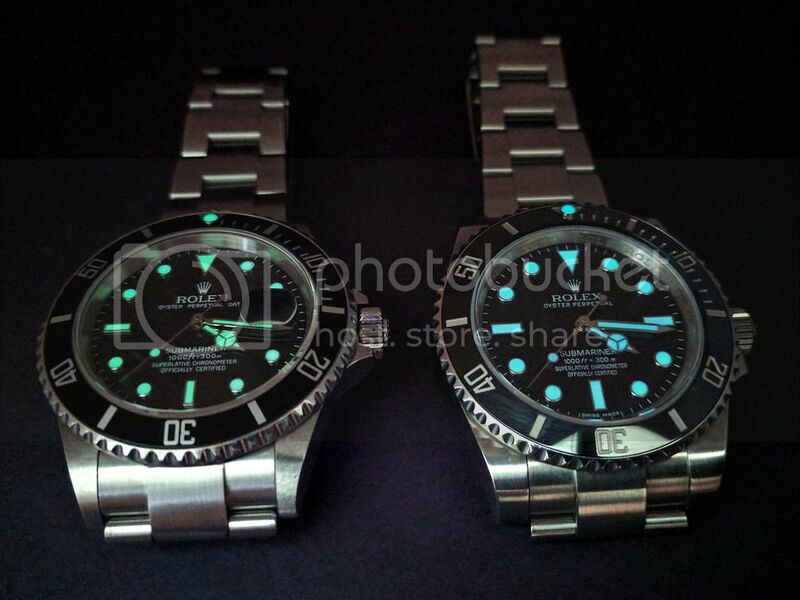 In general, I'm not a fan of the cyclops at all, and I do gravitate towards the new blue lume over the older green. At the end of the day, these are two rock-solid Franken builds without completely breaking the bank. But if (and when) I have to decide between the two, I believe the TC will likely remain in my stable. I don't know what it is, but it feels like a perfect go-to watch, one that will draw a glance without drawing attention. It's the epitome of the Rolex brand, and is as timeless as any watch out there. And while I'm not a huge fan of the cyclops, this date window/magnification is done so well, it really adds to the beauty of the watch. 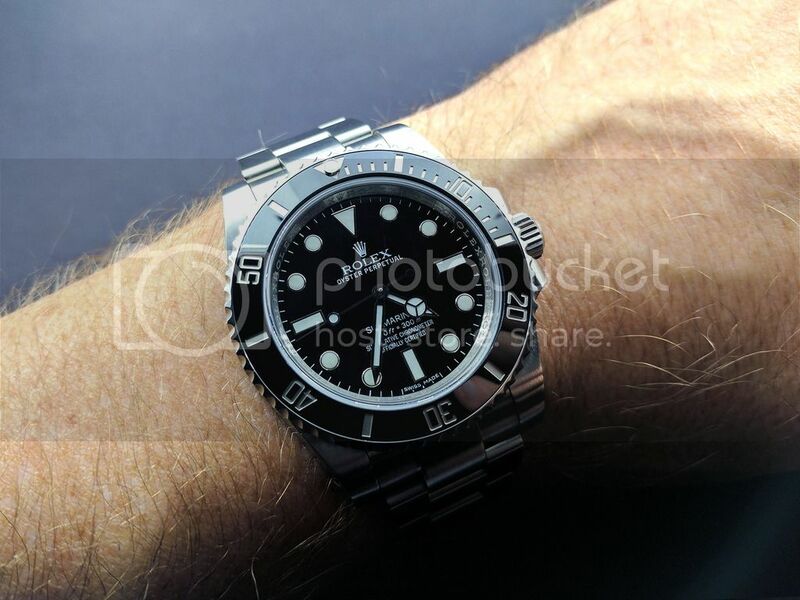 While it seems the 114060 checks more boxes, the 16610 simply feels right at home on my wrist. Congrats on two great pieces and an interesting write up. You did well to keep to under $1000 for the 6 digit. Pictures hosted by http://www.pixelsbin.com/ since photobucket crapped out. Great alternative for those looking. I guess a more fair comparison would have been a Ceramic with just a gen insert, but my gut says not much would change except to the eye of a purist. Thanks for the review, I'm a 5 digit man myself but both great pieces. Me too. My 16610 holds the top spot...especially since having the lugs drilled. Great comparison and fantastic looking pieces! I have to agree, the Ceramic does seem to be a bit flashier in a sense. My TC has got dings, scratches and plenty of character (I'm sure it's sacrilege to many) but I have used it completely as the "Tool" watch and it keeps ticking. When I do eventually pickup another ceramic, it will definitely be the No Date sub. So balanced and simplistic. Very useful for this new guy. 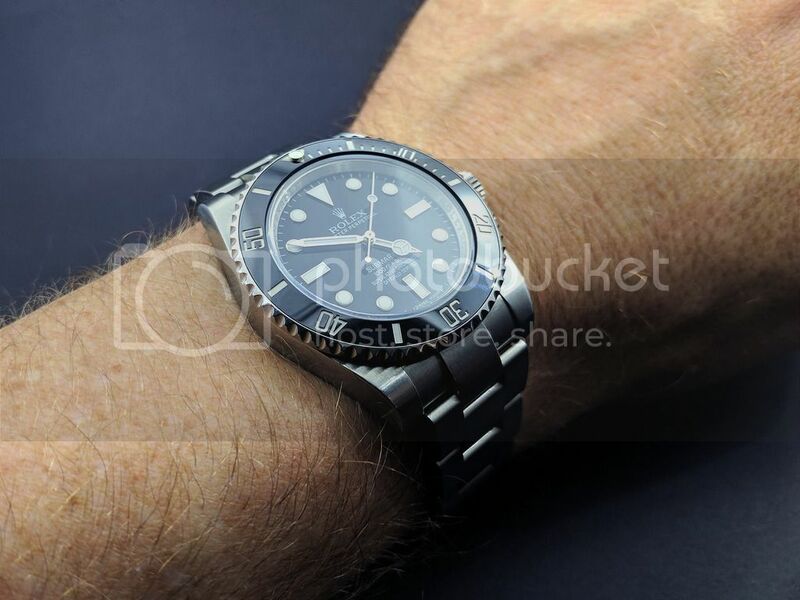 Just ordered noob v7 sub from truetime168 to get my feet wet in the rep biz. Have several vintage gens, various brands. This TC review is really helpful. Did you buy them frankened? If not, where did you find parts mate? Thanks. I just came across this post! Very nice, very well done - many thanks to the OP! Full disclosure, I do not own any gens. As a noobie, I first got the 6 digit subs, which I love - I have a few versions (ARF, VRF MAX, VRF 3135, and frankened V7) of the Hulk, as well as a V6S 3135 LN, which I also love. 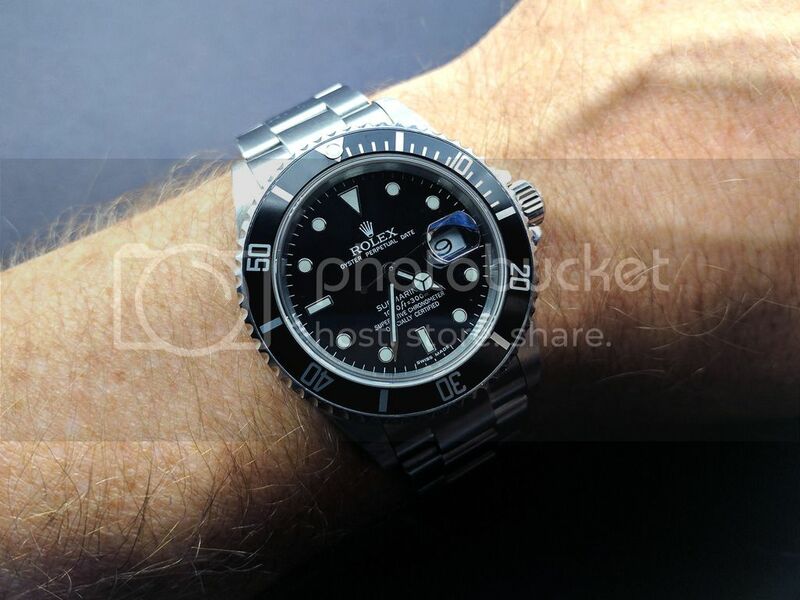 Along the lines, I bought my first 5 digit sub, a very nicely frankened 16610 LN franken from Sercions, which I loved way more than I expected to - despite the lack of a glidelock bracelet, the fit on my wrist felt better, perhaps because I am a woman (though have a 6.5 inch wrist). It wore smaller than the 6 digit, of course - which is a bit surprising given that both are 40 mm. across. The 6 digits are definitely heavier on the wrist, although they do look great. Similarly, I have a vintage GMT with black insert from Yodog on a vintage leather strap - I really love this one, and it also wears small compared to the 6 digit. I think dividing them into "old school" vs. "new" is on point. That's exactly how it seems to me - the GMT and the 5 digit are old school, smaller-wearing and yes - have more of a tool watch feel. They are akin to a vintage Corvette - classy, elegant, always in style, great performance with a lot less bling (lume is not as great - or absent - no fancy glidelock on the bracelet, etc.). If I had to reduce my collection to two watches, I'd pick my soon-to-be highly frankened Hulk, and - wow, it's a toss-up between the 16600 LN and the black insert GMT! I don't want to have to choose!! Great post. 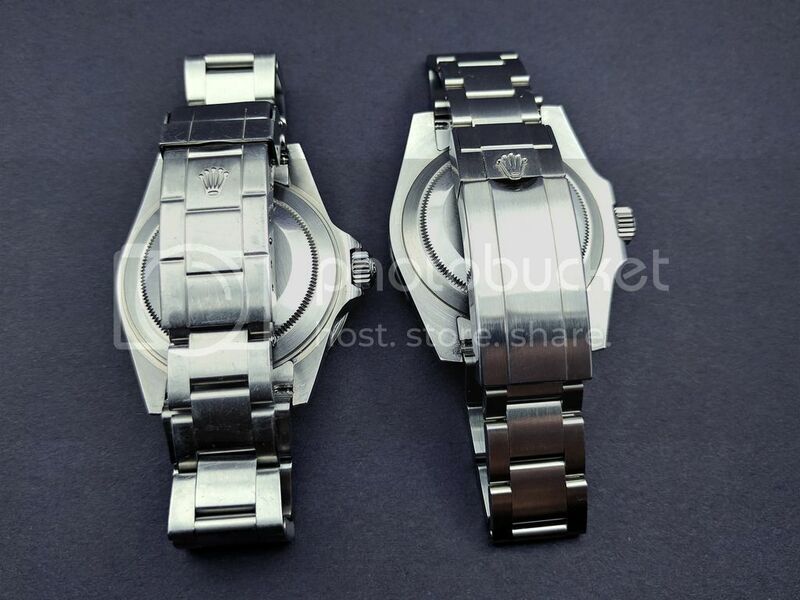 Its tough to think of a 6 digit sub as a tool watch because they are so good looking when compared to a 5 digit. The fact is they have better movements, more corrosion resistant steel and superior depth capabilities, I guess thats why they are so popular. Your 114060 is amazing. All times are GMT. This page was generated at 00:09.